Clive Anderson welcomes in the New Year from the BBC Radio Theatre with Arthur Smith, Tamsin Greig, Clive Rowe, Adrian Lester and The Ukulele Orchestra of Great Britain. Clive Anderson and guests see in the New Year with an eclectic mix of conversation, music and comedy. Clive is joined by actor Tamsin Greig who is reuniting with Green Wing star Stephen Mangan in the new comedy series "Episodes". Tamsin talks about acting with A-listers and why Hollywood is just like Chertsey. 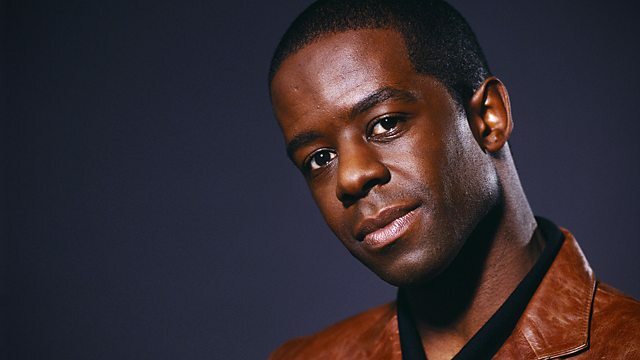 Adrian Lester joins Clive to discuss his enormous success as Mickey Bricks, the wheeler-dealing leading man of British television hit Hustle. As the seventh series is set to begin on BBC One, Adrian talks about his career and his attempt to bring Shakespeare to teenagers. Stage star and panto regular Clive Rowe joins Clive Anderson to discuss the ins and outs of pantomime etiquette, the back end of horses and enormous bloomers. And Arthur Smith talks to comedy duo Ronna and Beverly, a pair of American Jewish housewives who are in the UK to impart their relationship wisdom to the British public with their book You'll Do Better Next Time. With music from The Ukulele Orchestra of Great Britain.